Hollow Passion is the Body given sentience by Prod. Physically strong and resilient, she lets her emotions run wild, with only Logic being able to calm her down once she gets carried away. She's not particularly bright, and can be easily fooled, but her wild power normally allows her to strongarm her way though problems. 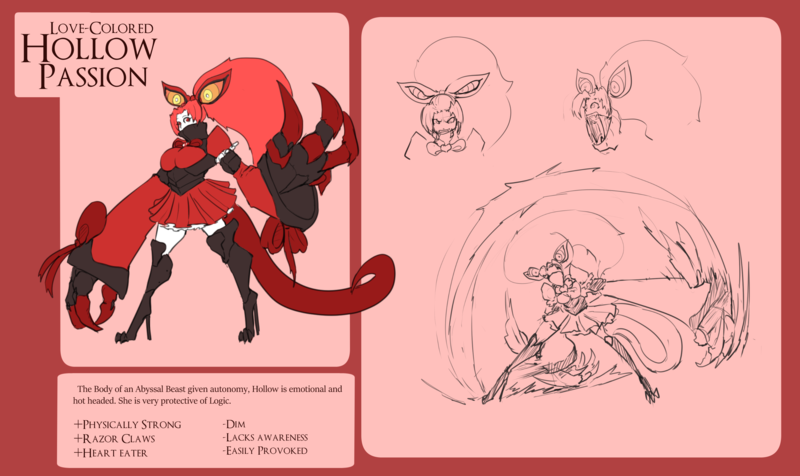 Her main form of combat is violently tearing her opponents with her claws, while shrugging off the hits she may get in return.